Firoz Tejani is Chief Executive of the Lenlyn Group and one of the founding family shareholders who established the business in 1973. Originally the business was dedicated to the operation of foreign exchange concessions on London’s main high streets and railway stations. It is now one of the largest retail currency exchange operators in the world and also offers a comprehensive range of financial services following the acquisition of Raphaels Bank, a private bank founded in 1787 and regulated by the PRA and FCA. He is an active member of his local Lions Club and has over many years sponsored a number of charities both in the UK and overseas. Nandita Parshad is the Director of the Power & Energy Utilities Team at the European Bank for Reconstruction and Development (EBRD) where she heads a team of 40 professionals covering 33 countries with a portfolio of over EUR 5 billion, doing an annual business of over EUR 1 billion. Nandita has over 25 years’ experience in financing and investing in the power sector in diverse emerging economies such as India, Eastern Europe, former Soviet Union, Mongolia, Turkey, Middle East and North Africa. 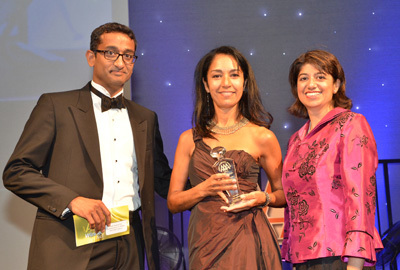 Since joining EBRD in 1992, Nandita has led several complex power project financings involving debt, equity, syndications and intensive policy dialogue at the highest level in Governments and with reputable domestic and international strategic investors. 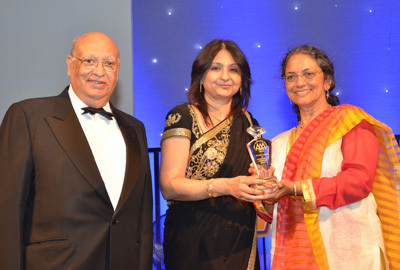 Professor Naina Patel OBE is the founder of Policy Research Institute on Ageing and Ethnicity (PRIAE) in the UK. She founded the institute in 1998 to meet a large gap in ageing and ethnicity research, engagement of elders to service information and innovations. 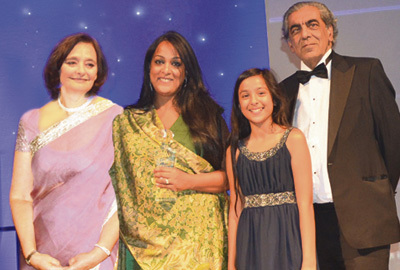 In 2001, Naina received an OBE from her Majesty the Queen as recognition of her pioneering work to improve the quality of life of ethnic elders. 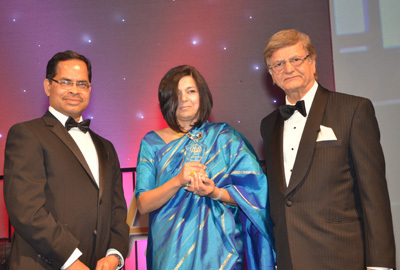 She accepted this award saying it was in recognition of the area in itself and not just her, she also paid tribute to all the elders and organisations who work with little resources to provide much-needed service support. Seeta Indrani began her career in the original cast of Andrew Lloyd Webber’s international hit, Cats, going on to work with companies as esteemed as The Royal Shakespeare Company, The Royal National Theatre and, Rambert dance Company. A familiar face on our tv screens, Seeta is best known for her nine year stint as WPC Datta in The Bill, Lily Hassan in Doctors and more recently, The Cafe and Eastenders. Seeta founded MashMosh Films in 2006 with Chris Bishop. They have had commissions from Sony Entertainment Television Asia, DJ Swami, as well as short films The Goodbye Girls with Nina Wadia, Friday and their most recent work, The Sweeney – The Life and Work of Jim Sweeney. Seeta is also the Festival Director of The Clare Valley Film Festival. Ruqsana Begum is an English kickboxer who is currently British female Atomweight (48–50 kg) Muay Thai boxing Champion and captain of the British Muay Thai Team. She is also coach at “Fight for Peace,” a charity which uses boxing as a prevention and rehabilitation model to confront the problem of child and youth participation in crime. After being selecting to be an Olympic torchbearer in recognition of her sporting achievements and community work, helping young people to engage in sports and giving them a focus in life in the East London community. On 21 July 2012, she carried the Olympic Torch in Greenwich, London. Farida Gibbs is the CEO of GibbsS3, a globally certified woman-owned business enterprise. Gibbs S3 has become an international provider of IT Staffing, Business Change and Project Solutions with operations in the US and Europe. Farida began her career more than 15 years ago and has extensive experience in the Banking, Telecommunications, Energy and Retail industries. Her inspiring career and rise to the top has led her to direct the UK’s efforts and become one of the fastest growing staffing providers posting sales revenues of $30,000,000 in the UK after 3 years of trading. Farida has been asked to support the Women of the Future Ambassadors Programme, which mentors the next generation of female talent. Rajeeb Dey (27) is the founder & CEO of Enternships – a platform for students and graduates to find internships and jobs in over 5000 startups and SMEs for which he was awarded the O2 X Young Entrepreneur of the Year accolade and named the world’s youngest Young Global Leader by the World Economic Forum in 2012. Rajeeb is also a co-founder of Start Up Britain; the national campaign to inspire, celebrate and accelerate entrepreneurship in Britain, launched by the Prime Minister in 2011. He was recognised by The Evening Standard as one of the “1000 Most Influential People in London” and earlier this year honoured with the Queen’s Award for Enterprise Promotion in recognition of his work in the entrepreneurship sector for over ten years. 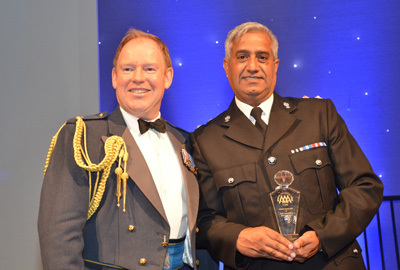 Chief Superintendent Surjeet Manku is the highest ranking Asian officer in West Midlands Police and has dedicated 29 years serving in uniform and CID roles. He has commanded one of the most challenging areas in Birmingham and led the force on preventing extremism – working with the West Midlands Counter Terrorism Unit to help stop terrorism. Surjeet revolutionised the way the force develops policies and plans operations to ensure the policing style is sensitive to the impact on communities. In 2011, he led the planning of the open air memorial service for the three men who died on Dudley Road during the summer disorder that shocked the nation. He was recognised in the New Year Honours and awarded the Queens Police Medal. The Hinduja Brothers are UK-based billionaire brothers who have a net worth of $8.3 billion. 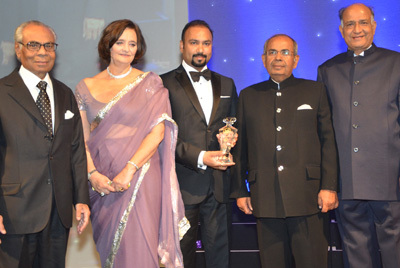 Often refereed to as the Hinduja brothers, they run the global conglomerate The Hinduja Group, which is currently headquartered in London, United Kingdom. Founded back in 1914, the company was initially operating in Mumbai, India, and then set up its first international operation in Iran in 1919. Sixty years later, the brothers moved to London to develop their father’s export business. Their group incorporates manifold companies with operations in automotive, financial services, ITES, oil and gas, media and telecom among others. Overall, it employes more than 4000 people. 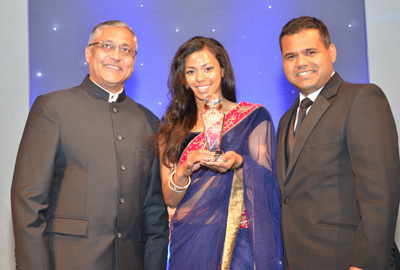 Mrs Anita Chaudhrie founder of Path to Success has always been very passionate about the charity world. Path to Success is a London based Registered Charity that adopts campaigns on yearly basis as an umbrella body providing funding and grants to other charities. It supports individuals to overcome their difficulties by funding projects which have an immediate and demonstrable positive impact upon education, disabilities and mental health. Anita strongly believes in “helping those keen to make a Success of their Inability into Ability”. 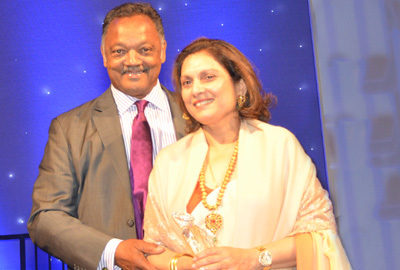 She has been part of many successful campaigns both in India and the UK. Anita strongly aims to inspire and encourage people to take responsibility in helping others and teaching those in need to help themselves, whilst embracing multicultural values and traditions. 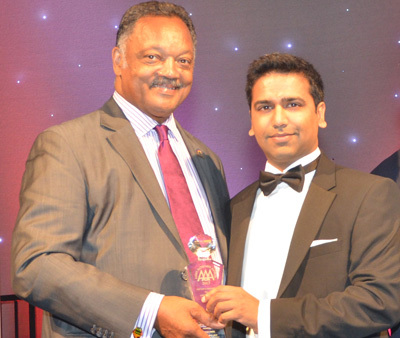 Mitesh Patel , one of the best known Asian solicitors in the UK. He is the face to Asian community through the 18 partner multi million pound law firm Levenes, which has offices in London and Birmingham. His firm provides legal advice and assistance in areas of law including Employment, Crime, Education, Disability, Immigration, Medical negligence and Personal Injury. 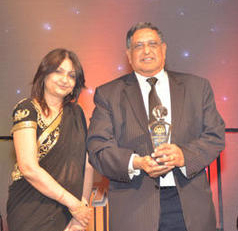 Seen by his peers as a British Indian at the forefront of his profession as a lawyer, Mitesh is actively champions the cause of the Asian and wider communities. 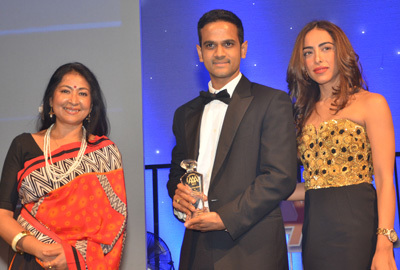 Mitesh’s hard work in the Asian community has seen him become a household name, a regular face on Asian TV.